Edgar County Watchdogs: Illinois – Was candidate Jeannie Ives right? uring the Chicago Tribune Editorial interview with Gubernatorial candidates Jeannie Ives and Governor Rauner, Ives stated that the Rauner Staff had told her the reason the Governor has been silent on the Illinois Auditor General Frank Mautino scandal was that the auditor was getting ready to investigate some of their agencies so they did not want to say anything. The Illinois Constitution requires Gov. Bruce Rauner to draw up a budget plan each year that is balanced. But a wide range of fiscal experts agree he didn’t do it in 2015 after taking office. He didn’t do it in 2016. He didn’t do it last year either, even though he claimed otherwise. On episode two of Ready Set Gov, we’re joined by Linda Lenz, a veteran Chicago education writer, who walks us through the bipartisan education reform bill passed in Springfield. We talk about what it means for Illinois taxpayers and students alike. Chicago's Morning Answer - Suzanne Venker: I'm So Happy Trump's Not A "Feminist"
Suzanne Venker: I'm So Happy Trump's Not A "Feminist"
Republicans from at least one township in Cook County said that Tuesday's endorsement of Gov. Bruce Rauner was the outcome of a rigged process and not a reflection of grass-roots support within the party. A growing number of Republicans are expressing fears that the Illinois GOP's endorsement process may be “rigged” to favor Gov. Bruce Rauner. Illinois' unpaid vendor debt ticked up to $8,690,348,325,49 the week of Feb. 7, ending a two-month trend where debt gradually decreased after setting a record high topping $16 billion. The $15.7 billion the Illinois State Board of Education (ISBE) recently approved in its fiscal year 2019 budget request is bad for the state's economy, a Cato Institute director said during a recent interview. Pritzker's storied charity costs him little but taxpayers a lot. 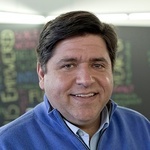 Billionaire JB Pritzker is the wealthiest candidate ever to run for Illinois governor and likely the most philanthropic, laying claim to at least $152 million in donations in recent years to children’s programs, universities, hospitals, a state Holocaust museum and much more.